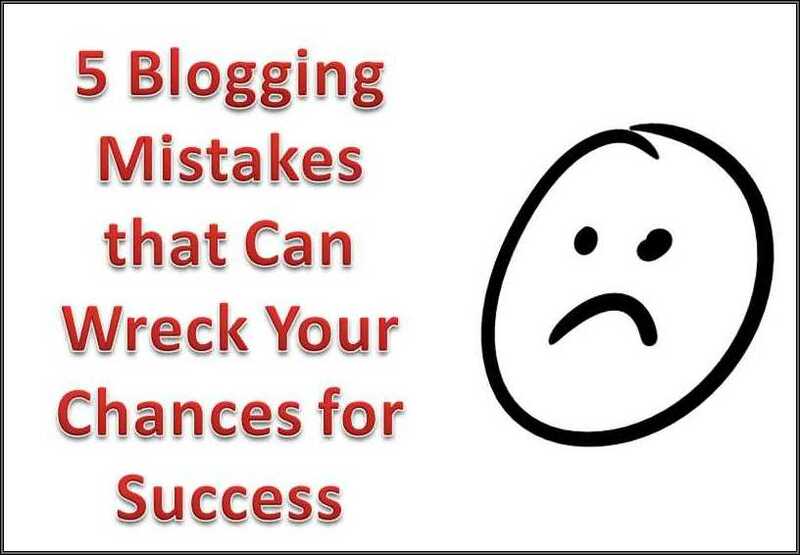 Blogging for Business - Are You Making These 5 Deadly Mistakes on Your Blog? Blogging for Business – Are You Making These 5 Deadly Mistakes on Your Blog? Blogging for business or content marketing is not difficult. I have had an online presence in some way since early 1999, when a friend and I were scheduled to graduate from tech school and wanted to take the Internet world by storm; me with my desktop support skills and Mary with her computer programming. Remember this was at the peak of the dot-com bubble, when eBay was new and nerdy teenagers were selling websites that were being snapped up by the likes of Yahoo! and Google for millions of dollars. So I set up a website that showcased our budding technical talents and offered our freelance services to the world. The site was named TwoOldLadies.com because both of us at 40+ were often the oldest students in our information technology classes. Soon I had the site up and running…just waiting for the job offers to come pouring in. And we waited and waited and waited. We told everyone we knew about the site. We emailed anyone who had an email address…several times…can we say “spam”. I even had business cards made up and handed them out, but still nothing happened. No job offers, no work, no million dollar offers, no nothing. Not one single person ever called or contacted us as a result of that website. Okay…I finally had to face it, TwoOldLadies.com sucked and this internet marketing stuff was harder than it looked! The site finally went down, when the Silicon Valley web hosting company I was using went belly up during the eventual dot-com bust in 2003. Well, I took my lumps and slunk off into the dark. I messed around with some personal websites and later with blogs. Eventually, I moved from in-house computer support tech into webmastering and web content writing for several online marketing companies. As a webmaster/web writer, I learned a lot about creating and promoting websites. From my work experiences, I finally discovered what it took to put a website or blog in the top Google rankings; how to create quality web content that attached potential customers and how to convert visitors into customers. Basically, I discovered the “secrets” of how a make a website or blog successful. But I still kept in mind all those mistakes I made with that first website. And once I went freelance and I worked closely with clients, I began to notice that they too made the same mistakes I used to do. This article delves into what I consider to be the top 5 deadly mistakes that most website or blog owners make and shows you how best to avoid them. Every website or blog must have a main goal, stated target or object that you want it to achieve. You can have a site just for the purpose of establishing your online presence, making information about your business available 24-7; selling items online or building up brand awareness. Unless you have a million dollar budget, this is a very bad belief to hold. In actually, the web should be thought of as a global, niche market. People go online to find 2 things: information and entertainment. Basically people want answers, sound advice and factual information about a “specific” problem, pain, issue or question. This is why being focused on an “inch-wide but mile-deep” subject is so important to a small web publisher. You will position yourself as a go-to-expert on your topic area. For example, if you were planning a road trip from North Carolina all the way to the West Coast, think of purpose as being your road map…you can’t just set off without one unless you want to spend days lost and wandering around the interstate system. Focus would be your trip itinerary along the way. You would limit your travel to Interstate 40 since you want to stop off at Graceland, Elvis’s home, dig for gems at the Crater of Diamonds State Park near Little Rock, and explore the Texas panhandle, etc. Focus prevents you getting too far off track from your main topic. How to avoid this mistake: You must know your specific purpose or goals when publishing a website. Sit and write down all the reasons why you want a website. Then ask, what are your long term goals? And finally ask yourself, what is the primary purpose for this site? Now rank your reasons and goals in order of importance from first to last. With this list in hand, you can now select the subject matter or topics your site is going to concern itself with. If you own a rug store, are you going to teach visitors what to look for in a good rug? Or are you be focusing teaching folks how to decorate a house or apartment using rugs, with your products as the centerpieces of course? Or is the site just going to supplement your television advertising by offering coupons, sales pieces, store hours, etc? This problem involves the process of leading your visitors from one location on your website to another without overwhelming them or losing them to confusion. A user-friendly design is simply about making certain that your website is easy to understand and easy to navigate by your visitors. This problem happens most often during the design process. Your web team may be uncertain as to your ultimate goals or your purpose and basically try to make your website be and do everything for everyone. Now this is technically possible, (think of college or university websites – they must appeal to students, instructors, parents and alumni) but this kind of design takes a good deal of planning before hand. However for most small site owners, it is simpler and less expensive for you and your staff to design your site around just a handful of objectives or specific target goals. How to avoid this mistake: As I mentioned before user-friendly design and architecture is actually a function of your web design team. Frequently on the Internet, you will read that “Content is King”. This slogan has come to mean that quantity content the key factor to keeping visitors coming back to your site. Websites are not about putting up some information about your company and hoping the customer calls you. Good content is all the text, images, graphics, videos, audio files and other information published on a website or blog. And it attaches the attention of visitors. Quality content connects with people on the emotional level. It lets them know about your products or service and understand how you can make their lives easier or better through your business or organization. People return again and again to websites that offer them quality information that is useful, relevant and easy to access. And it’s this popularity that Google and other search engines like to see. The better the content the higher the rankings can become. But while “Content is king”, don’t forget that “Conversion is Queen”. Once visitors come to your website and successful browse around and access the quality content you have provided, like a fish nosing around a baited fishing line, you also need to hook’em. This is where copywriting or web sales content become vital. Without the ability to convert visitors into customers or clients, all the visitor traffic in the world is almost worthless to you. So visitor conversion is the second part of this important formula. How to avoid this mistake: Dale Carnegie said it best with the title of his 1938 bestseller, “How to Win Friends and Influence People”. The Internet is just a technology-powered way for you create online “friends” for yourself and your business and then later on “influence” those friends into visiting your shop, buying your products or services. And just like in the offline world, people like being friends with people; they know, like and trust. This is one the hardest issues, most small owners have a problem with. Not everyone is a social butterfly, I know. I’m not…that’s why I am such a geek, but you (or someone on your staff or team) must take up the job of this very important task. Like I mentioned, people like working with folks they feel they know, like and trust. It’s this lack of trust or creditability that is the main stumbling block with almost any online encounter. People are skittish and the seemly anonymity of the web makes them even more cautious. This is why you must take the time to build rapport with your visitors and setup the technology so that people can connect with your company and have real “conversations” with you. And you do this by sharing your ideas, experiences, and expertise and business advice with your visitors. Yes, I want you to just give this stuff away! How to avoid this mistake: Yes, I know is seems counter-intuitive that ‘giving” away all your hard won knowledge can increase profits. For example, in the grocery store, if someone gives you free sample of a new product, you automatically look favorably upon them. By sharing ideas and information freely with visitors, you automatically start building a relationship with them and this keeps drawing them back to your website. This is all about showing up. Don’t start a website or blog unless you have the time or money to keep it properly updated and maintained. There are currently over 190 million websites and blogs on the web. The search engines like Google, Yahoo! and Bing (formerly known as MSN) have way too many sites to index and keep track of and will gladly drop your unattended website straight away into the trash bin without a care in the world. Yes, I know that sounds harsh, but without consistent work and effort, your website will drop lower and lower in the search engine page rankings (SERPs) until no one will can find it without keying in your URL (web address) directly. This is not what you want to happen. You want visitors who type in certain search terms or keywords that are relevant to your site to find your site somewhere in the top twenty spots or so. How to avoid this mistake: Be committed to never stop adding or updating content to your website or blog. And be prepared to never stop promoting your site. While over time, you will not have to put as much energy or effort into it, you must still understand that a website or blog is almost a living thing (think house plant) and must consistently be fed and tended to in order to stay healthy and grow. Of course, you can choose to turn your site into a low maintenance “cactus” or a higher maintenance “fern” that requires lots of daily mussing and fussing but in either case, you must be ready to put the work in before you see any success. If you are as I was, you will subconsciously believe in an idea that says “if you build it, they (the customers) will come”. As I explained earlier this is a sure path to failure. But everyone believes that their stuff is so great and so much better than what’s out there, that somehow people will find you and your site and then buy all kinds of products and services from you. And when this doesn’t happen, people get frustrated and disappointed and this is when the site becomes abandoned and is left to become another expensive cyber-boondoggle. How to avoid this mistake: Even if you avoid all the other mistakes and you do everything right, a small site will not show a return on investment to you overnight, despite what the marketing gurus tell you. It takes either time or money to grow a website or blog. Sites that seem to hit the big time overnight had a huge marketing budget (can we say hundred of thousands or even millions of dollars). On the other hand, a small site can be developed using the most basic of marketing tools at a very affordable price, but this takes TIME and effort. Think family gardening vs. commercial farming. The average family can grow almost all the food they need on an acre or less of garden space using simple hand tools and cheap seeds. But it takes a good deal of time and sweat equity to make that happen. On the other hand, the same family can spend several thousands each year and buy food from the grocery without wasting precious hours weeding and watering. Like I said TIME vs. MONEY. Naturally, I can’t tell you which one is best for you or your business, but I prepared to either teach you how to grow your blog or website using affordable tools and techniques or if your time is limited, I can help you with content development and with other web marketing methods. So now that you understand how these 5 mistakes can mess you up, I invite you to check out my FREE downloadable ebook “Boost Your Sales!” if you want better leads & more sales from your business website.